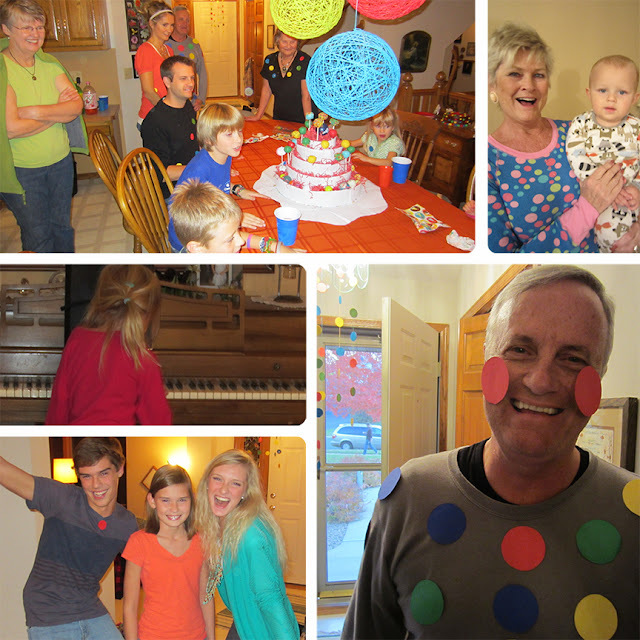 We celebrated Ivar's birthday in grand style. I came up with the theme pretty easily as Ivar's favorite thing is pretty obvious. When I get him out of his crib in the morning he looks at me, smiles and says, "ball." When I ask him if he'd like more ham and cheese he replies, "ball." When we go for walks around the neighborhood he lights up with every pumpkin sighting, "ball!" He gets downright slaphappy in the produce section...all the balls...the onions, apples, melons, tomatoes, potatoes, plums and peaches, lettuce, grapefruit. Balls everywhere. So we had a ball party. Singular. And it was good, good fun. 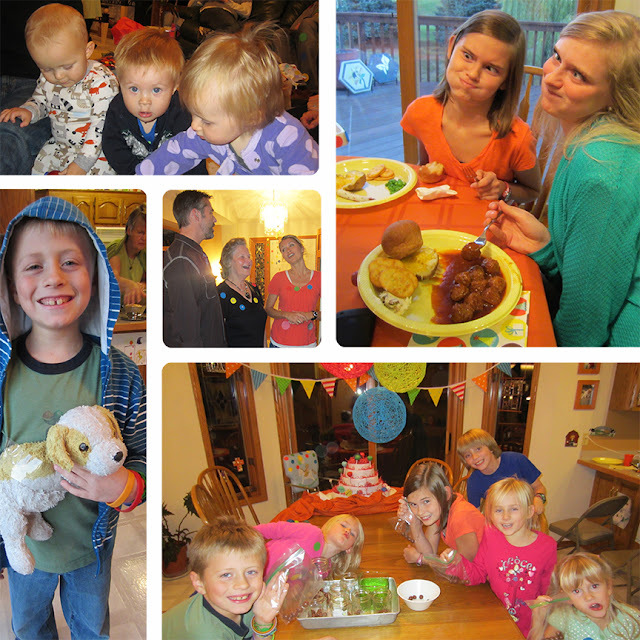 Our menu was simple: meatballs, baked potatoes, peas, grapes, buns, a cheeseball and cake pops. Lisa made the cake pops and they were awesome. I got a cake for free at Byerly's just by bringing in Ivar's birth certificate. The plan wasn't originally to give him the entire cake, but the family gathered insisted we let him go for it. So we did. I'll share more on the games we played and the decorations I made. 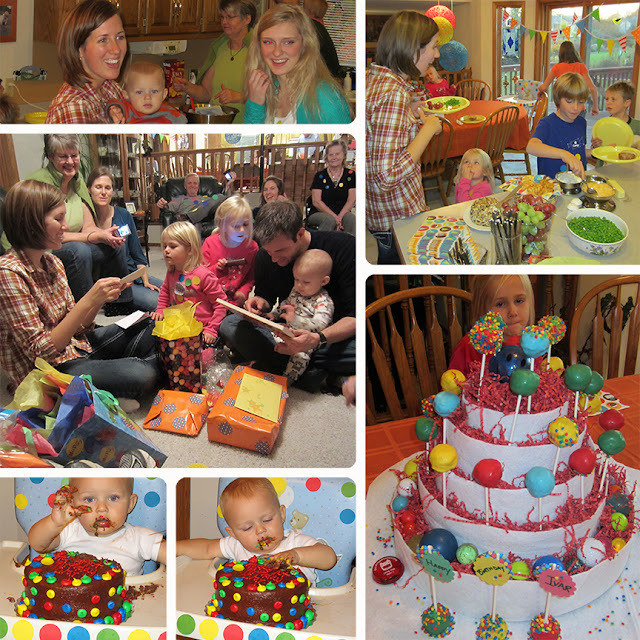 It was a homemade party and so super fun. Ivar is so blessed by all of his family. 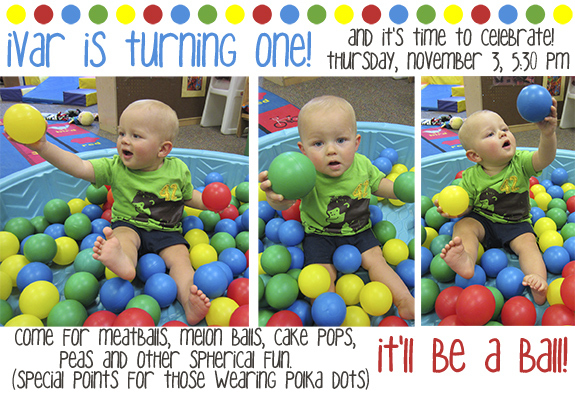 He was born into two fun groups of people and that was very obvious at his first birthday party. Looks like a wonderful party. I expected nothing less. Glad it was fun and family-filled! Love you guys.